He didn't win the White House. He didn't even win his own party's nomination. 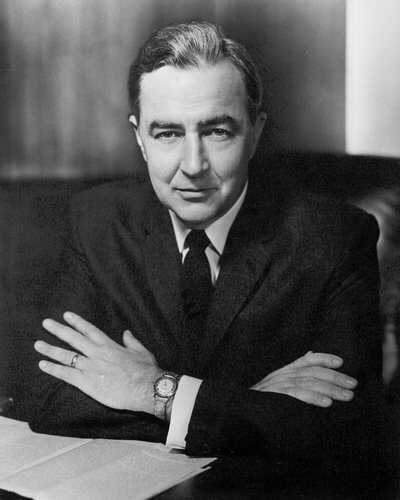 But in 1968 Eugene McCarthy revealed major divisions among Democrats, changing the political landscape in a way few American politicians ever have. By exposing the depth of some Americans' resentment over the war in Vietnam, McCarthy opened up the presidential race and brought Robert Kennedy in. He helped set in motion one of the most turbulent years in American history. A native of Watkins, Minnesota, Eugene Joseph McCarthy graduated from St. John's University in 1935. After teaching high school while earning a master's degree at the University of Minnesota, he returned as a faculty member to St. John's. During world War II, McCarthy worked in military intelligence for the War Department. After the war he taught economics and sociology at the college of St. Thomas in St. Paul. McCarthy entered politics in 1948, when he was elected to the U.S. House of Representatives on Minnesota's Democratic-Farmer-Labor ticket. Handsome and highly intelligent, over the next ten years he made a name for himself in the liberal wing of the Democratic party. 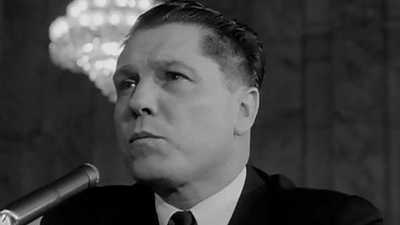 He was one of the first congressmen to stand up to the red-baiting senator, Joseph McCarthy, and his Democratic Study Group would influence the New Frontier and Great Society programs of the 1960s. But after winning election to the Senate in 1958, McCarthy's progress began to slow. Historian Arthur Schlesinger writes that he "had come to seem indolent, frivolous, and cynical," as well as "unduly responsive to the legislative requests of the Minneapolis/St. Paul banking community." In 1964, fellow Minnesotan Hubert Humphrey bested him in a bid to become Lyndon Johnson's vice president. Though well known within Washington, Gene McCarthy didn't become a nationally known figure until November 30, 1967, when he announced his intention to challenge President Johnson in the Democratic primaries. Though he had voted for the Gulf of Tonkin Resolution in 1964, like many liberals McCarthy had become increasingly skeptical of U.S. policy in Vietnam as the military mission grew. When civil rights activist Allard Lowenstein, a former protégé of Eleanor Roosevelt, was unable to draft higher profile candidates like Robert Kennedy or George McGovern to challenge the incumbent president, McCarthy answered the call. He was not given much of a chance at first. But McCarthy's clear articulation of the problems in Vietnam and the duplicity of President Johnson found eager audiences, even in relatively conservative states like New Hampshire. On March 12, he shocked the nation by winning 42.2 percent of the vote in the Granite State. Four days later, Robert Kennedy -- after months of public speculation and private soul-searching -- announced his candidacy in the Senate caucus room his brother John had used for the same purpose eight years earlier. Kennedy's entry into the race, after McCarthy had done the "dirty work" of exposing LBJ's vulnerability, elicited anger from many Democrats. Editorial pages were filled with charges of opportunism, arrogance, and the familiar "ruthlessness." Journalist Murray Kempton wrote that in his "rage at Eugene McCarthy for having survived on the lonely road he dared not walk himself," Kennedy had "in one day... confirmed the worst things his enemies have ever said about him." Other political commentators disagreed, arguing that it was not Kennedy's entry into the race that ruined McCarthy's chances. Historian Joseph Palermo says, "The 'realists' among political commentators knew that McCarthy didn't have a chance at winning the nomination -- but Robert Kennedy had the money, the organization, the pull with Democratic power-brokers, and the fame and popularity to do so." On March 31, on the verge of losing another primary in Wisconsin, President Johnson scheduled a national address, ostensibly to talk about Vietnam. Instead, he dropped a bombshell, announcing that he was dropping out of the race. "It's narrowed down to Bobby and me," McCarthy told a reporter, describing a whole new race that was suddenly missing its number one issue: Lyndon Baines Johnson. Kennedy found himself being heckled on college campuses, where McCarthy's cool professorial demeanor and anti-war stance had caught fire. "HAWK, DOVE, OR CHICKEN?" taunted a sign at Brooklyn College. 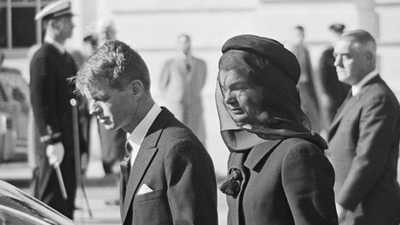 "Kennedy thinks that American youth belongs to him at the bequest of his brother," wrote Mary McGrory, one of the his most critical commentators, in the Washington Star. "Seeing the romance falter between them and McCarthy, he moved with the ruthlessness of a Victorian father whose daughter had fallen in love with a dustman." Kennedy tried to make light of his struggles. "Gene gets all the A students and I get all the C students," he joked to an aide. But as someone who had always banked on his youthfulness and intelligence, Kennedy bristled at losing the some of the support of the intelligentsia and college campuses. Still, Kennedy drew huge crowds, and an unprecedented turnout of African American and Latino supporters. He said of himself, "Let's face it, I appeal best to people who have problems." Jack Newfield says "it was the most emotional adulation, I've ever seen in politics." McCarthy, on the other hand, had won very little support among African Americans and Latinos. McCarthy swept three primaries in the wake of his New Hampshire stunner, but then lost four of the next five to Kennedy, who had a wider following. A victory in Oregon in late May gave McCarthy's campaign a boost going into California's important contest the following week. Kennedy, on the strength of his appeal to minorities in California's cities, won a big victory on June 4. Then the campaign took a tragic turn when an assassin's bullet killed Robert Kennedy after his victory speech. 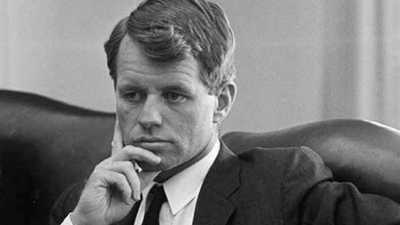 The death of Robert Kennedy sent an already divided Democratic party into a complete tailspin. McCarthy kept going, but ultimately lost the nomination at the convention in Chicago to Vice President Hubert Humphrey, who had not run in a single primary. In November, Humphrey lost to the Republican candidate, Richard Nixon, who himself faced an unusual challenge from Alabama governor George Wallace, a Democrat who chose to run as an independent on a law-and-order platform. The presidential run would be the zenith of McCarthy's political career. In 1970 he chose not to run for reelection to the Senate, and his seat ultimately went to Humphrey. After establishing himself as a writer and lecturer, McCarthy conducted a lackluster campaign for the Democratic presidential nomination in 1972, losing to Senator George McGovern. He made a better effort in 1976, running as an independent, but once again his presidential ambitions went unfulfilled. His political career essentially ended in 1982 with an unsuccessful bid for his old Senate seat from Minnesota. Since then McCarthy has taught, lectured, and written books. On November 22, 1963, Robert Kennedy got a call from FBI director J. Edgar Hoover. "I have news for you," Hoover said. "The president's been shot."